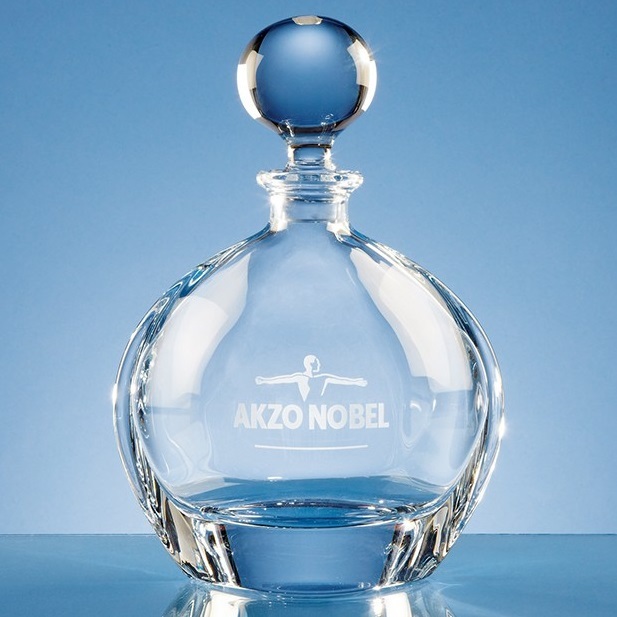 Contemporary and stylish in design, the round decanter and ball stopper are produced out of perfectly clear Crystalite glass. The decanter measures 240mm x 170mm. It weighs 1.7kg unboxed. There is a spacious engraving area that can be personalised with any crest, logo or wording to create a unique gift that is sure to be displayed with pride. All engraving has an additional charge as shown.